Power. Grace. Wisdom. Wonder. Witness the rise of a warrior. 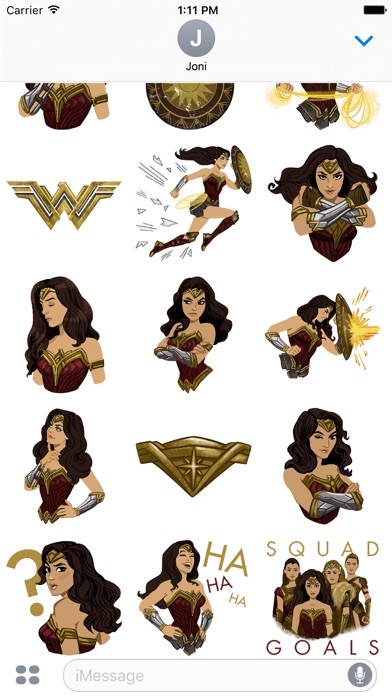 These Wonder Woman Stickers are for iMessage only. Please follow instructions shown on the screen shots to install and use. 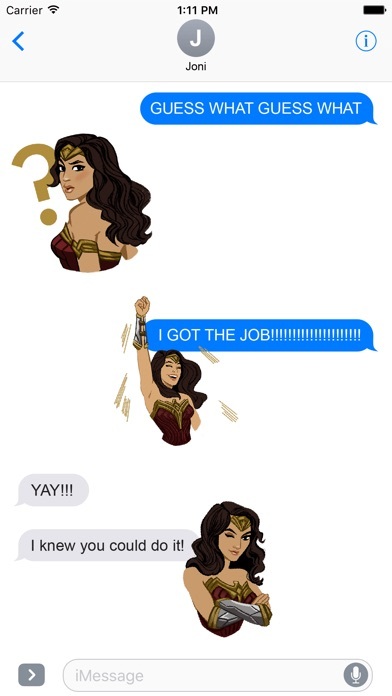 Your Wonder Woman stickers will show in your iMessage tray. 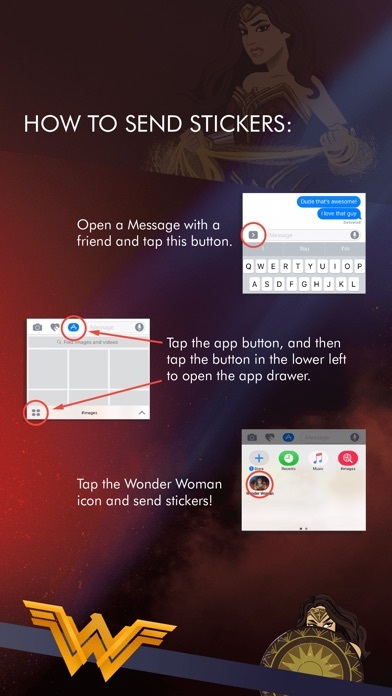 If the Wonder Woman icon doesn't show in your tray, go to MANAGE and enable the Wonder Woman sticker pack. 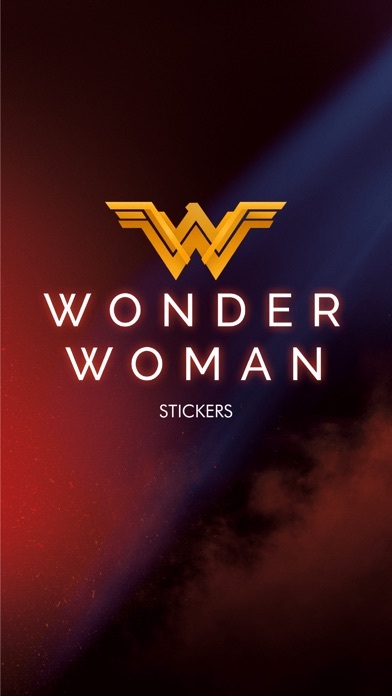 Enjoy these stickers and the Wonder Woman film. I had no problem installing pac. My daughter and friends grew up watching TV show & had underoos! They are surprised every time I send stickers!! I love accessibility labels descriptions!! Do you have.anymore accessibility descriptions label stickers for Blind?? As a Wonder Woman fan this is just one of many things for a Wonder Woman fan to get. 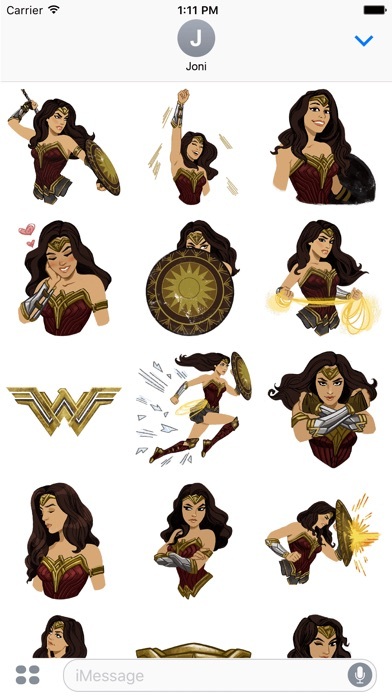 Even Ares can't beat this game, Wonder Woman stickers are adorable and very detailed. Also very simple and fast to download. So don't be a Circe and get this app, for it is truly a Wonderful app. So far feeling awesome that these are on my messages. So I stumbled across these by accident graphics are cool. Instructions to download it to my iPhone were good. It would be even better if I could use it when sending it to non apple friends. I looked at the reviews and I looked on my phone but it doesn't work where is the manage button?! WW is my favorite and I now use this all the time. Hopefully this gets updated every now and then with new stickers so I don't get bored of them. 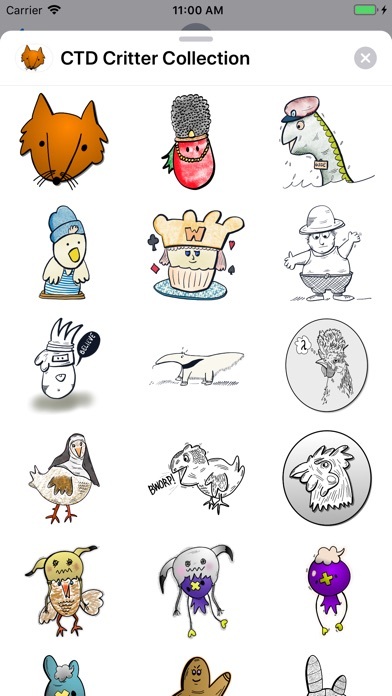 these stickers are really cute to use!! Needs more variety such as more characters, but otherwise I love it. Glad it's free. I hate it when people charge for these stickers. I mean they are cool but not as user friendly like the emojis, since you have to drag and stick it on your text messages. 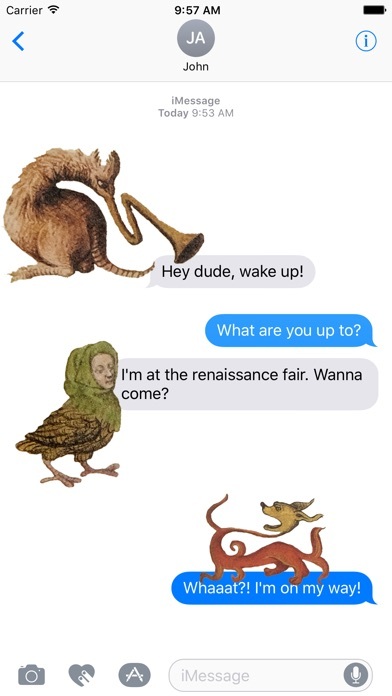 Still though, they are fun and add a little personality to your messages. It says I purchased them but they are not showing up! Help! Update: they work now and are great! I like ww but none of these are animated.